The Church’s doctrine on Capital Punishment has been a hot topic this past week thanks to a joint statement issued by National Catholic Reporter, America Magazine, Our Sunday Visitor, and National Catholic Register calling on the Supreme Court of the United States to outlaw the practice. Though I am unaware of anyone else putting forth a similar argument, it occurs to me that just beneath the surface of the wholesale rejection of Capital Punishment lurks a heresy so profound that it threatens to corrupt our understanding of even the most basic tenets of the Catholic faith. Before we get to that, let’s begin with an abbreviated look at the Church’s traditional doctrine on Capital Punishment, a teaching that remains entirely valid today. 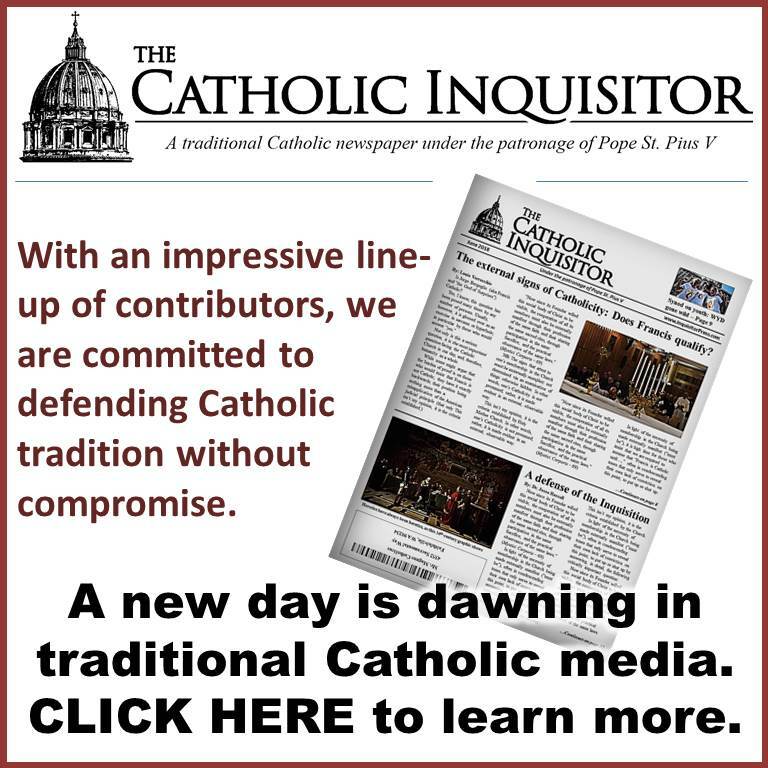 While the post-conciliar bishops tend to focus on the duty of the State to protect human life without any distinction whatsoever between the guilty and the innocent, this represents an innovation that is founded upon doctrinal confusion (about which I will offer some details momentarily). One notes that the traditional teaching charges the State with the duty of protecting the innocent, and likewise the duty of punishing the guilty; it does not charge the State with protecting the life of the guilty. It also charges the State with “fostering human life;” that which includes the spiritual life of man as well as the physical. Lost in the conversation today is the reality that proportionate punishment justly rendered (in the present case, a sentence of death for those who kill) can have a purifying effect on the soul of the perpetrator as expiation is made, thereby fostering the spiritual life of both the guilty individual and society as a whole. St. Thomas Aquinas affirmed that the death penalty not only carries the potential for having a purgatorial effect on the guilty should they accept their punishment with contrition; the specter of such punishment can also serve as a powerful impetus for the criminal’s conversion. As such, Capital Punishment can hardly be dismissed as devoid of mercy, much less justice. In traditional thought, there simply is no basis for rejecting the death penalty out of hand as a de facto act of vengeance as it so often is in our day. NB: This proposition is reflective of the broader post-conciliar tendency among our sacred hierarchs wherein teaching grounded in doctrine and right reason has given way to platitudes that appeal almost exclusively to human emotion. Summarizing the verdict of Scripture and tradition, we can glean some settled points of doctrine. It is agreed that crime deserves punishment in this life and not only in the next. In addition, it is agreed that the State has authority to administer appropriate punishment to those judged guilty of crimes and that this punishment may, in serious cases, include the sentence of death … The Catholic magisterium does not, and never has, advocated unqualified abolition of the death penalty. At this, let’s consider how our churchmen attempt to justify moving so far away, so quickly, from well-established Catholic teaching on the matter. The most common justification seems to lie in the assertion that modern man (understood as those living in the age of post-conciliar enlightenment) has a deeper understanding of human dignity than previous generations did. So, if not the product of a moral awakening, what then accounts for this rapid journey away from the traditional Catholic teaching on Capital Punishment? As already suggested, throughout the post-conciliar period, the hierarchy has consistently preached a hyper-inflated sense of human dignity. This distortion has obscured some very important truths that weigh heavily on the present discussion; first, the reality that human dignity can be diminished and even lost, and secondly, the very closely related understanding that human dignity is not possessed in equal measure by all. As such, clergy and laity alike have largely fallen into the error of believing that when the State takes the life of a killer of innocent people, it is essentially guilty of repeating his crime. Clearly, this isn’t the case. This brings us to yet another major factor in our churchmen’s rejection of the traditional teaching on Capital Punishment; namely, the distorted post-conciliar view of the State. From the time of Vatican Council II and the promulgation of Dignitatis Humanae, the Church has refrained from preaching the immutable truth that the civil authorities in the various States derive their authority neither from constitutions nor the will of the people, but from Almighty God (more properly, Christ the King) to Whom they are beholden. Lost in the murkiness is the traditional Catholic understanding of the civil authority as a representative of God. As such, it is no longer clear in the minds of moderns that the State has the right to visit the death penalty upon the guilty; not simply as a means of protecting its citizens, but as a means of applying retributive justice in the name of God, thereby rendering a genuine and valuable service to the common good. Nor does [the death penalty] heal or redress any wounds, because only forgiveness can do that. At this let us consider at last the multiple heresies that lurk just beneath the surface of the modern movement to abolish Capital Punishment. If indeed the death penalty does not “heal or redress any wounds,” what then shall we say of the Creator’s decree, spoken to Adam as an expression of Perfect Justice, “But of the tree of knowledge of good and evil, thou shalt not eat. For in what day soever thou shalt eat of it, thou shalt die the death” (Genesis 2:17). If indeed the death penalty does not “heal or redress any wounds,” what then shall we say of the death of Our Blessed Lord on the Cross? 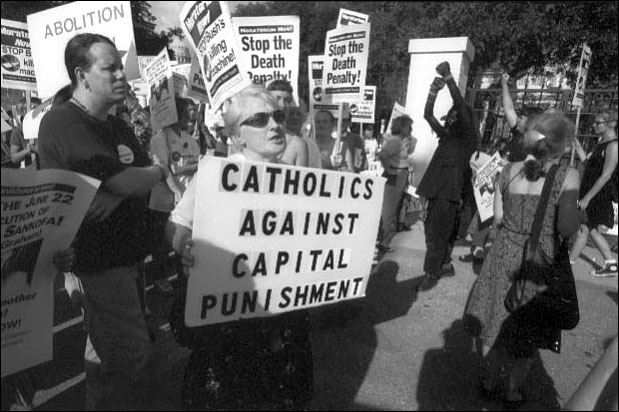 You see, if one carries the arguments put forth in favor of the Wojtyłian approach to Capital Punishment to their logical conclusion, effectively undermined along the way are such fundamental doctrines as the Church’s understanding that the wages of sin is death; her teaching concerning Our Lord’s work of Redemption, and the Catholic conviction that our individual sufferings and death can be redemptive for ourselves and for others. Also at stake is immutable doctrine concerning the identity of the Holy Catholic Church as the Mystical Body of Christ wherein the work of Redemption continues; the nature of Holy Mass wherein the Sacred Victim is offered in atonement for our sins, and likewise our understanding of Holy Orders and the role of the priesthood. Indeed, even the doctrine of the faith concerning Baptism as that through which we die with Christ – a death entirely necessary in order to rise with Him to new life – is placed in jeopardy. Is the connection between the wholesale rejection of Capital Punishment and the manifold heresies it invites as outlined here rather subtle? You bet it is, and in this one does well to discern the hand of the Evil One who desires nothing more than to make weak and sinful men believe that death is but an end unto to itself. Very good articulation of the principles involved. I hope you sent it to the NC a Register and the other papers for publication. I think Cardinal Dulles’s paper on the matter is very illuminating. As with other issues, those whose reasoning has become defective due to the false notions of modernism and liberalism, there is a mixing up of principle and policy; doctrine and practice. The principle, the objective moral truths must be understood, accepted and applied first, before one begins to study the policy or practice in a particular place and time, in particular circumstances. There may be circumstances (and generally there are, if government is corporately corrupt and immoral) where it is not prudent or even safe to permit capital punishment in a given jurisdiction at a given time. This may be true even for a single case. There is also widespread confusion, encouraged by ideological forces that dominate in Media, State administration, academia, etc., regarding the necessary criteria that must be satisfied for the death penalty to be applicable: there must be a fair trial (with all the necessary elements including appeal); it must be carried out by a legitimate authority acting according to principles of justice and law; the accused must be found guilty beyond any reasonable doubt. Miscarriages of justice involve corruption at some point in the process, someone acting outside of their lawful powers, abusing their powers. Of course, every aspect of the process must be open to scrutiny by legitimate authority and the public. Where corruption is not uncommon among police, prosecutors, judiciary, etc., it is not safe to apply the death penalty. Innocents must not be at risk of the death penalty where innocents are at any risk of erroneously being found guilty. I don’t think it’s anomalous that people who support the killing of the innocent (abortion, euthanasia, suicide, “assisted suicide”, etc.) very often are opposed to the principle of capital punishment. Lynda you have stated something that bothers me a lot: why don’t we spend our efforts in fixing a corrupt system instead of doing away with a legitimate exercise of justice? Exactly. The corrupt have been in control of most states and inter-state government for a long time. The Church stopped fighting against the evil of the world a long time ago. Where are our moral leaders, cleric and layman? They are a tiny remnant like all true Catholics, and are persecuted as much within the institutional Church as without. Very few of them have been permitted to become bishops, or priests, and the few that have been are quickly got rid of or silenced if they dare to lead people in the moral law against real imminent moral attacks in public life. The reason the good Archbishop Cordileone is making such news is because it is highly unusual for a bishop to do his duty with respect to public morals, as he is doing. Lord, give him the grace to persevere in the face of the attacks of his enemies (enemies of him because he is for God and His Holy Commandments). The remnant “underground” Church, which alone remains true to the Faith, must never give in to the threats of the evil secular powers to cooperate with intrinsic evil (as the majority of the Church has done, beginning at the top) but be prepared to suffer the persecution rather than defy Our Lord and Saviour. “SCRIPTURE- does not reject the death penalty, but accepts it—in the New and Old Testaments—as legitimate and necessary..
— Rulers, St. Paul told the Romans, “are not a terror to good conduct, but to bad.” The one who exercises proper political authority is a servant of God who works for the good of citizens. “But if you do wrong, be afraid, for he does not bear the sword in vain; he is the servant of God to execute his wrath on the wrongdoer” (Rm. 13 3). ON RECITIVISM: “Convicted murderers sometimes get released after serving time in prison; in certain cases, they commit murder or violent crime after their release. In such cases, has the State properly fulfilled its obligation to protect its citizens from harm? Has society effectively defended innocent lives in such situations? Is this a matter of lacking means, or of lacking the will to rightly employ the means available? Sorry for introducing another subject but what do you think of the Christ the Worker CRUCIFIX made of contorted old scrap metal which Pope Francis has erected in the Vatican gardens? It seems blasphemous to me. Blessed Michael, the Archangel, defend us in battle . . .
p.s. Ditto for the hideous blue thing next to it–which we presume is some manifestation of the Blessed Virgin in his twisted vision…. 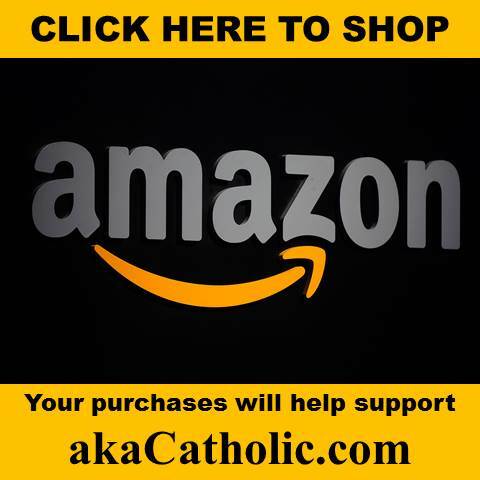 Where did you get the quotation that is supposedly from the Catechism of the Council of Trent? I ask because the sentence “This purpose is fulfilled when the legitimate authority of the State is exercised by taking the guilty lives of those who have taken innocent lives” is not present in the original document. It’s not in the original Latin, nor in any of the reliable translations that I have checked in. Paul, you are correct, the quote does seem to include some added/inaccurate text that is not in the original. See http://www.catholicapologetics.info/thechurch/catechism/TenCommandments-fifth.shtml – under “Execution of Criminals”; different translation, identical meaning. There is no inaccuracy, just a difference in translation. While the two links do contain the problematic translation, they provide no help at all with where the translation came from, nor any justification for the chosen translation. There are quite a few other links on the internet that contain the same problematic translation, but none of them refer to exactly where the translation came from. And it’s not a simple difference in translation. The original Latin is available. Alterum permissum caedis genus est, quod ad eos magistratus pertinet, quibus data est necis potestas, qua ex legum praescripto iudicioque in facinorosos homines animadvertunt, et innocentes defendunt; quo in munere dum iuste versantur, non modo ii caedis non sunt rei, sed huic divinae legi, qua caedes vetantur, maxime obcdiunt. Quum enim legi huic finis is propositus sit, ut hominum vitae salutique consulatur: magistratuum item, qui legitimi sunt scelerum vindices, animadversiones eodem spectant, ut audacia et iniuria suppliciis repressa, tuta sit hominum vita. The problematic sentence is “This purpose is fulfilled when the legitimate authority of the State is exercised by taking the guilty lives of those who have taken innocent lives”. Looking at the relevant parts of the Latin, there’s nothing like “this purpose is fulfilled”, or “taking the guilty lives of those who have taken innocent lives”. The Latin instead simply refers to “punishments repressing outrage and violence” (audacia et iniuria suppliciis repressa). The original Latin in this part of the Roman Catechism expresses the idea that the death penalty is not inconsistent with the commandment “Thou shalt not kill”, because it can be similarly aimed at the goal of public safety. The problematic translation goes much further than that in that it actually asserts an absolute claim that the death penalty fulfills the goal. Such an assertion is not in the original. This is an excellent post. One may ask where the motivating factors for the innovation in the approach of the Church to capital punishment are coming from. This post views the situation from the perspective of tradition and identifies these factors in the negative terminology of the Church as possible heresies lurking under the surface. But what are these revolutionary movements with respect to Our Lord’s gospel? They are false gospels! 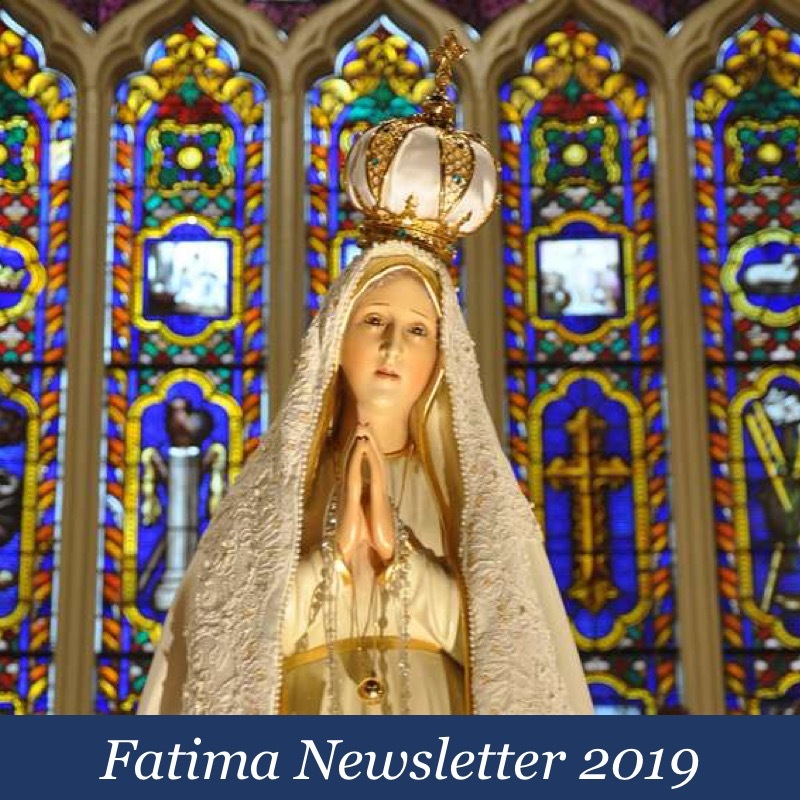 It is noted that Our Lady of Fatima warned that Russia would spread its errors throughout the world, and asked for the consecration of Russia. Some argue that the consecration was never made. A possibly overlooked aspect of the Fatima apparitions is that to my knowledge the Church never took Our Lady’s words regarding the errors of Russia as an additional implicit command. If Russia would be spreading errors throughout the world, it would seem that the Church militant, if it was doing its job, should identify exactly what these errors may be so that Catholics would be on their guard. Instead of identifying these errors to the faithful, the Church has remained reticent or positively disobedient. For example John XIII apparently “made peace” with godless communism when many catholics were suffering under its yoke. Hence, VII, which may have been called to address a real problem – the errors of communism – instead went off the rails and adopted novelties in areas that required no reform, e.g., ecumenism. What may be even worse to contemplate is that some Church leaders tacitly may view the aforementioned revolutionary movements like cultural marxism as embodying a superior but contradictory moral critique to that of Our Lord’s gospel. Hence, they have no motivation to identify exactly what the errors of communistic Russia may be, because they don’t want the contradictions of Our Lord’s gospel to be identified and anathematized. How is this all relevant to the current discussion of capital punishment? Foolish Church leaders either ignored cultural marxism or instead treated the movement as if it was legitimate and actually sought to improve the lot of mankind. Cultural marxism in its founders’ own words seeks to overthrow western (i.e., Christian) civilization through subversion of institutions and the assembly of new political power coalitions comprised of those who were previously out of power (or not even citizens!). With the real goal of cultural marxism being the overthrow of the current ruling elite so that a class of opportunists can have the best jobs in society, how anyone can take the moral critiques of cultural marxism seriously is beyond me. But nonetheless many have taken the critiques seriously. For example, a typical marxist critique of capital punishment is that it is prejudicially applied to members of groups with little political power. Note, this is effectively a red herring. The fact that a group may have little political power is irrelevant to the specific details of a heinous crime like murder, and in no way can be viewed as an extenuating circumstance. The cultural marxist concludes from the assumed prejudicial application that capital punishment should never be applied, whereas traditional Catholic teaching suggests that it should be applied across all groups since justice demands it. Further, in actual fact, the supposed “moral” critiques of cultural marxism in many cases are self-serving efforts in demoralization of an existing social order, or factually inaccurate (e.g., members of a supposed more powerful social group may actually be punished more harshly than others in a criminal justice system). Is this the only situation where alien “gospels” negatively impact the Church? No! Cultural marxism also seeks to upset the existing social order through sexual subversion by elevating the sexually aberrant to a protected class while ceaselessly attacking normative human sexuality (i.e., marriage) and indoctrinating children in perversion. How such a program can be viewed as subversive by those pushing it for self-interested reasons and “good” by those who are being subverted is beyond my power of comprehension. The misleadingly entitled “Synod on the Family” perhaps can best be understood as an unconditional surrender by the Church to the critique of cultural marxism in the arena of human sexuality. Excellent! I appreciate your discussion of cultural marxism – it is a clear lens through which to view much of what is happening. Pitting classes against one another is an old trick, but one which is being given new life by Poor Francis, and many others. ## From humanity and compassion, and the desire to avoid cruelty and injustice, presumably. It is, to say the least, not self-evident that hanging, gassing, shooting, or electrocuting people (all of these being methods of execution found in the US, a supposedly Christian country) are exercises of Christian love. I think there’s a place in the state for the death penalty; it does not follow that because the use of the DP is not contrary to Christian behaviour, that it is desirable, especially if other, less final, penalties are available. Opposing the use of the DP has the advantage that it thwarts the all too human desire for revenge – the lust for the blood of criminals is very ugly, if the scenes sometimes observed outside prisons at the impending execution of a criminal are any guide. Christians are forbidden to take vengeance, and are strictly forbidden even to hate – they are commanded to love. The world is full of states that resort to the DP – should not the Church of Christ provide a better witness than to imitate the world ? Precisely because forgiveness is contrary to what fallen nature may seek, we have to forgive – it is by so acting that we show ourselves to be children of light. The use of the DP by Christians is too much like a concession to the “natural man”, to be the sort of thing the “spiritual man” should approve. ISTM that we should consider, not what we are allowed to do, but what we ought to do. Christ did not allow Himself to spill the blood of others – should we, if we are His followers, not be of that mind ? The practical question is, how the Teaching of Christ is to be made effective in social circumstances very different from those of first-century Palestine. The consolation is that this has always been a challenge, ever the Church began to admit Gentiles. That is where inculturation comes in. Almost forgot: no doubt criminals, or certain criminals, may deserve the DP – but that misses the point: Christianity is not based on what we deserve. God is not Just – for which we should be exceedingly grateful. If God were Just, we would infallibly be damned. God is Gracious, not Just – this is not injustice on the part of God, but (so to put it) a justice that is deeper & truer than justice – Grace reflects something in God that is more “characteristic” of God than Justice is. Perhaps one can express the difference by saying that God’s Grace shows the Divine Equity more fully & adequately than His Justice does. 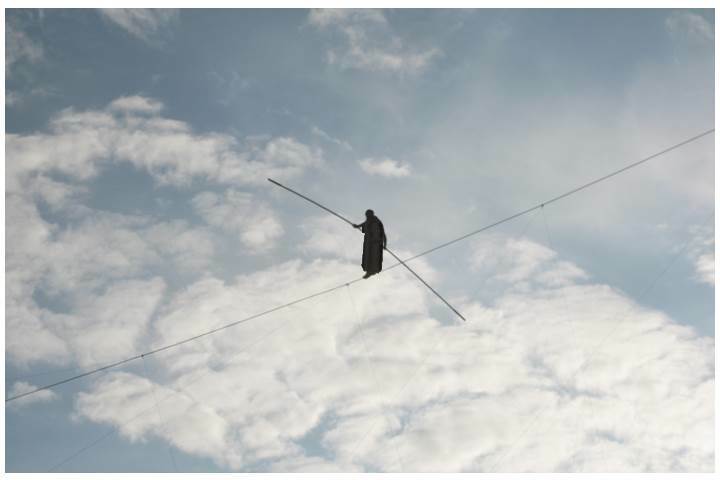 God does not deal with us as our sins deserve, but waits with patience for us to turn from them – so should we not show similar forbearance & patience in dealing with our fellow-men ? If it is “proper [as the Church prays] to [God] to have mercy and to spare”, should not Catholics practice these good things, “and so be children of [thei]r Father in Heaven” ? 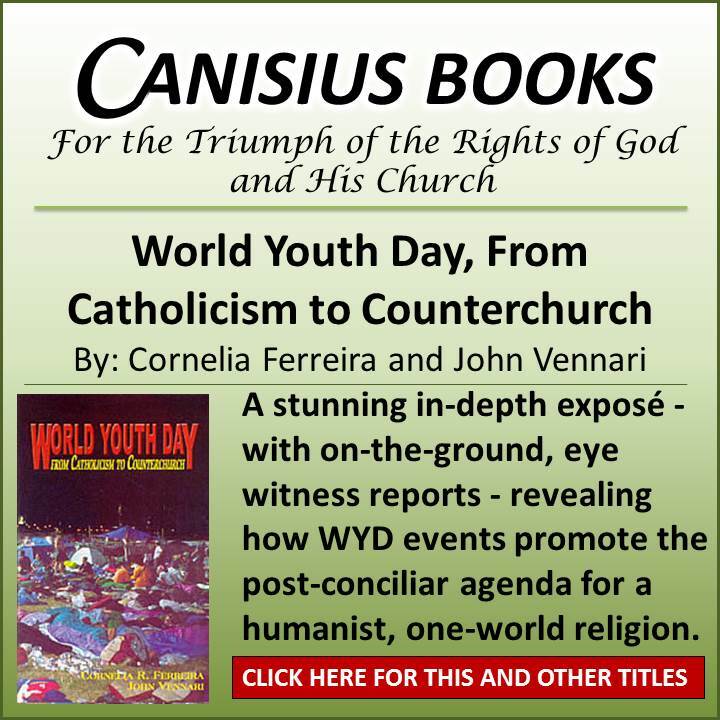 Witness JPII’s public support for the Universal Declaration of Human Rights which ‘safe-guarded’ the rights of abortionists, the state’s ‘right’ to sterilize its population and the promote contraception. I guess JPII was aggiornamentoing ‘innocence’ and ‘guilt’. Quote from an interview by Edward Pentin of Austen Ivereigh ostensibly on the Synod, but has reverberations throughout Poor Francis “teaching” style. So we want convergence – that’s the ticket. Get a bunch of people together, toss in a couple of radical, revolutionary ideas and let them fight it out. No right, no wrong, everything on the table. The sick part is Poor Francis and his minions expect convergency between right and wrong. So we get a little of each – resulting in revolution, and evil. In mixing oil and water, oil always floats to the top. It’s working in the same way regarding capital punishment. Don’t keep repeating what the Church has always taught. Get a bunch of people together, toss in the idea that killing the guilty can’t be merciful, and let them have at it. Of course the convergence will be a sick mixture of right and wrong: it is right to punish the guilty, but certainly not in that nasty way we thought was good – nay, nay, we have converged into a new People of God, so must converge into a new religion. I suggest we all read Lord of The World again, very carefully. Thanks to Louie for this thoughtful post. Meat for the intellect. I was under the impression that when the Pope teaches something, that is, explains the doctrine, the faithful are bound to believe him. Thus we must believe JP2 when he said that as long as the prison is a secure, modern facility, society is protected, and inflicting the death penalty would be an abuse. We can’t execute them, but we don’t have to coddle them. Diet manipulation, temperature control, sleep deprivation, noise, boredom, circadian rhythm disruption, unpleasant and physically frustrating manual labor are all still on the table. But I digress. My question is: may we disagree with the Pope on matters of faith and morals that are not, strictly speaking, ex cathedra? TCA, the death penalty is not strictly a matter of Faith or Morals. The Church works with The State to protect citizens. How they do it is up for some discussion. But not complete revolution. If there is a change proposed one must always ask: what was defective in the old position? How will the new position obtain the same ‘end’ using a different ‘means’? I agree that what we do to criminals now in many cases is horrible. My dear old Dad used to say let’s give them short, but sharp punishment instead of milder longer term punishment that can have all kinds of very bad, unintended, results. He used to say “bring back the lash” too! Five years breaking rocks in the quarry instead of 20 years of sitting in a cell might be a better option. Disagree with your conclusion, but saw Lynda’s comment below and it pretty much says it all. Prison isn’t supposed to be like a pleasant hotel, but the torture idea is the other extreme. Execution after lawful and just trial and conviction can be the best justice for the worst crimes against God and man, but cruelty to make the transgressor maximally suffer is not justice, does not serve punishment, retribution, reparation nor rehabilitation. That would be an abuse of power, and acting on base motivations amounting to sin. It’s slow getting started, but I’m glad I persevered. It helped to clear up some of my confusion on this very important point. Obviously the Catechism of the Council of Trent is a valuable resource. But beware! Lots of anathemas and condemnations! Please support Archbishop Cordileone by at least signing statement of support of either Lifesitenews or Catholicvote.org. Blessed Michael, thwart and destroy his enemies. Louie has it right – what’s happening now is heresy. And Poor Francis doesn’t worry about much of anything it seems. I wish we could have The Cure of Ars come back just for one moment to have a little chat with Father Reese about the difference between simplicity and intellectualization. Dear Father in Heaven have mercy on us. I ask through the Merits of Jesus Our Saviour. This is not in accord with the Deposit of Faith, not in accord with Tradition, Scripture and Magisterium. Jorge Bergoglio prescribes that “With these two things you have the action plan: the Beatitudes and Matthew 25. You do not need to read anything else“. “But he that shall scandalize one of these little ones that believe in me, it were better for him that a mill-stone were hanged about his neck, and that he were drowned in the depth of the sea“ (Matthew 18:6). “The Son of man shall send his angels, and they shall gather out of his kingdom all scandals, and them that work iniquity. And shall cast them into the furnace of fire: there shall be weeping and gnashing of teeth (Matthew 13:41-42). Awww, c’mon, Mr. V. ! Terms like”heresy” aren’t used anymore! We’re moving forward. Get with the program. Quite honestly, I’m shocked that His Humildad hasn’t yet refused to don purple vestments during Lent. When Padre Pio said “sempre avanti,” the Saint was referring to the spiritual life, not this current occupier’s bolderdash. Sorry for slightly OT, dear brethren. There’s a point. Heresy. Popes are able to say the word – but fake-popes wouldn’t dare. As for JPii, it is extraordinary that Wojtyla ‘outlawed’ justifiable killing – given his support of the UN. There are justifiable wars, there is justifiable death. We should know, Adam and Eve were the first real murderers, after a fashion. BTW – it surpises me that the brother Rabbis (Novus Ordo prelates) in the Vatican are unaware that Jewish Rabbis will tell you that the commandmant should be translated, ‘thou shalt not murder’, not ‘thou shalt not kill’ – because there is a big difference. This is a fantastic article. Very enlightening. Thank you, Mr. Verrecchio. You have helped me (once again) to understand the flaws in my thinking yet tainted with modernism. What a gift !!! This post and the conversation it has generated have provided much good food for thought. Thanks to Louie and all who have commented. Whenever we hear the view expressed -that ALL taking of human life-including in wars, is immoral; it occurs to us that those who speak and write such things are alive and free to express what they think, precisely because of the wiliness of others who have gone before them- following the Church’s teachings on just-war principles- who’ve fought (and died) against those who would have deprived all of us all of freedoms. Some people respond that they would rather live as slaves or be killed, than allow anyone to take a life in their name. But with ISIS now providing a visible example of what that kind of slavery or death can entail, we’re hearing a much different reaction from many these days. There is also the fact to consider, as Louie pointed out, that God became man, specifically to sacrifice His life- taking the capital punishment upon Himself, which Divine Justice required as payment for the acts/mortal sins of our first parents. According to Sacred Scripture and Church teachings, if that had gone unpaid, they and all their offspring (including us) would have been barred eternally from Heaven. Those very severe consequences must have been necessary and irrevocable, because even Divine Mercy, great as it is, did not eliminate or cancel or even lessen their severity, but paid the price with the perfect life, Passion and death of Christ, (a perfection Adam and Eve could no longer provide). Why was a death necessary? Why did their banishment from Paradise not suffice, if capital punishment is always wrong? Perhaps our ideas of what Mercy really consists of, need to be thoroughly examined in light of what God has demonstrated personally to us. Ironically, Gloria tv. news reported today that Cardinal Tagle of Manilla in the Phillipines, speaking to the British “Telegraph” has verbally chastised his clerics for their allegedly “harsh” stance adopted – towards homosexuals, divorcees and single mothers” which he claims ” has done lasting harm” . MERCY FOR THOSE SINS ACCEPTED BY THE MAINSTREAN???? Wow! It seems modernists really ARE requiring us to join with the world in accepting sin as the norm– without repentance. “Will the Son of Man find any Faith on the earth when he returns”? The theology of the death penalty, torture, and all the things related to it flow from the Ressourcement and Personalism’s rejection of Scholasticism and a denial of the real and objective. It is a turning to, or return to the sources like Platonist forms and ideas, the self-centeredness of Augustine, and the “holistic” focus of Eastern theology in men like St. Gregory of Nyssa. Witness the return of heretical ideas like apokotastasis in the thought of Ressourcement luminaries like Urs von Balthasar, and Fr. Barron’s championing of the idea that “it is reasonable to hope that all might be saved.” The only difference is that Barron “hopes” where the full-bore heretics “believed.” You can see this holistic indifference in Teilhard de Chardin and Karl Rahner, SJ, who blurred all objective morality in believing that all things would be reconciled in Christ at the end of time, including unrepentant evil. I believe this is largely a “Catholic” reflection of Enlightenment thinking, but with a theological instead of atheistic context. S. Armaticus posted the following on his Deus ex Machina Blog today. It’ts a real concern, too. Don’t know whether to be more worried about what ISIS might do if they get their hands on those treasures, or about what Francis is likely to “let” happen. He’s so vocal about putting the past away…. reminder to keep praying daily. However I am not convinced that the merits of capital punishment are Just or appropriate. The State taking the life of any person is entirely dependent upon whether or not the State has proven beyond all doubt that the perpetrator is guilty. We know from hard cases that the wrong people get convicted regularly in our judicial system. Even with all the checks and balances that ought to apply in that judicial system. Recently up to 324 cases since 1989 have been overturned because the evidence presented in those cases has been disproven. What would be the remedy if even one of those cases carried a capital punishment sentence which had been carried out? If one innocent person spends a day in prison that is an indictment of a broken judicial system. If one innocent person is executed for a crime which they did not commit where does this leave the same judicial system? No system is perfect. Capital punishment runs the serious risk of making an imperfect system worse, because the person who has wrongly convicted cannot be brought back from the dead. That does not go to the principle of execution being a just punishment for the gravest crimes against God and man. Miscarriages of justice go to prudential judgment vis-a-vis the application of the death penalty in a certain jurisdiction at a certain time, or in respect of an individual case. As I said at the top of the comments, a miscarriage of justice means corruption in some part of the process. The rightness of the death penalty involves certain prerequisites, including fair trial, guilt determined, by just and lawful authority and process, beyond a reasonable doubt. In a properly working justice system, innocents are not at risk of erroneous conviction. For instance, Fr Gordon MacRae’s case was clearly a miscarriage of justice; it is clear that the judgment was erroneous. If one reads the trial transcripts, and court documents, it is clear that the police, the prosecution, the judge (and even the defence lawyer) all acted in breach of the law, abusing their offices and failing to do their particular duty under the administration of justice. Furthermore, many justice systems are in themselves corrupt, and the death penalty could not be morally supported under such a system. Of course it goes to the principle. A principle can only be validated by practice. And if one innocent person is killed through capital punishment, then the practice removes all credibility for the principle. If Father McCrea had been given a sentence of death by capital punishment, and that sentence had been carried out, your entire argument falls apart. I remember when the IRA bombing campaign took place in Britain. Dozens of innocent people were killed. In their haste to be seen to be “doing something”, the authorities managed to bring a case which was bogus against 6 men. They were charged/tried/convicted/sentenced. The cry at the time was that these men should be killed through capital punishment. If they had, they wouldn’t have been released from custody AND PARDONED for the crime that they never committed. It laughable that a constituency which claims that abortion, for example, are a threat to human life, some of that same constituency would empower the state to take the life of another human being. A state which has been shown to charge/try/sentence wholly innocent people. Hypocrisy. We just read up on the controversy with Archbishop Cordileone, and want to thank you for expressing your concerns about it a couple of times here. He’s apparently doing exactly what every Bishop should to ensure that Catholic Schools employ real Catholics who will not scandalize their students by their beliefs or personal practices. And for this, his opponents have hired a PR firm and of course gotten the Press on their side to blast him into outer space if possible. Interesting that his name means heart of a lion. This becomes clearer when we read good history of that terrible time: Luther started the rebellion but it was very quickly taken up by princes and rulers in order for them to rule in Christ’s place. Greed and power were the motivation. Sound familiar? Heresy is one of the greatest disasters of any era. Loss of Faith is the greatest of evils. Sin makes us lose our Charity towards God – a good Confession brings back that Charity. But loss of Faith is much worse. Only a direct action by God can give that again and He does not coerce the will. Our Dear Father can entice us back to His Charity, and inspire us to love Him again. But He will not do this when loss of Faith is deliberate and obstinate. Fr MacRae finally having habeas corpus application heard on 17th March. Please pray for him!